Enrolment Days are held at the beginning of the year, however new members are welcome to join at any time (see below). Enrolment days in January provide the opportunity to enquire about U3A activities, to enrol and to meet up with new and old friends over morning tea. If you cannot attend an enrolment day, late enquiries are always welcome. 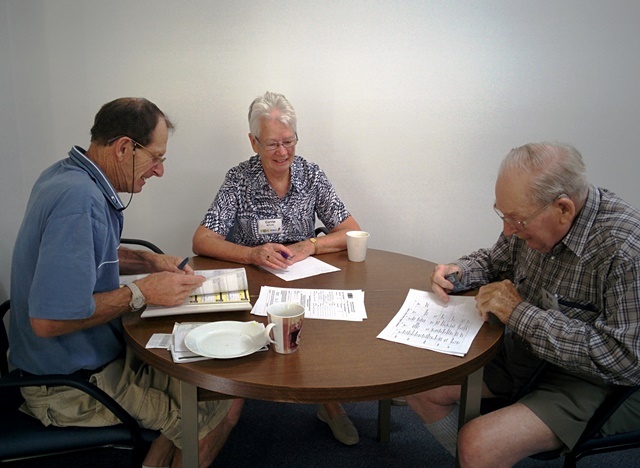 To join U3A Benalla and District courses and activities you need to become a member using the Membership Application/Renewal form ﻿﻿ of U3A Benalla and District. You can also use this form to select the courses you wish to enrol in during your first year on this form. Renewing members ​will also complete the Membership Application/Renewal form posted or emailed to them in early January to bring to enrolment day where their personal details will be confirmed and subject selections recorded. Courses & Timetables are published at the end of Term 4 for ongoing and Semester One classes, at the end of Term 2 for Semester Two classes. ﻿Enrolment Day, usually held in the third week of January, offers new and current members the chance make enquiries, enrol and meet over morning tea. New members - bring along the completed Membership Application/Renewal Form showing the courses and activities you wish to enrol in and your payment as on the membership form. Membership fees for 2019 are $30 per person or $60 per couple with a newsletter e-mailed monthly. There is a surcharge of $10 per annum for newsletters sent by mail. Current program documents can be found below. To download simply click on the underlined item. ​Late Enrolments: New members are welcome to join at any time. Contact our Secretary Geraldine on 5762 2134 or 0408 522 662 or secretary@u3abenalla.com . You can also contact the convenor/s of groups which interest you (refer Program Guide or Web Page). ​Membership forms can be sent to The Secretary, U3A Benalla & District, PO Box 674 Benalla 3672.